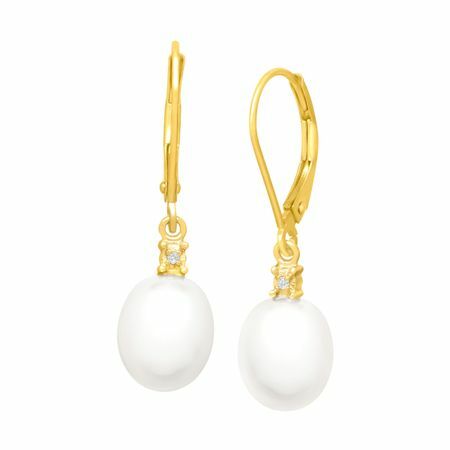 Give your look a timeless luster with these gold pearl freshwater drops. Two 10x8mm oval-shaped freshwater pearls suspend from diamond accents and are set in 10K yellow gold finished with leverback closures. Pieces measure 1 by 1/4 inches.